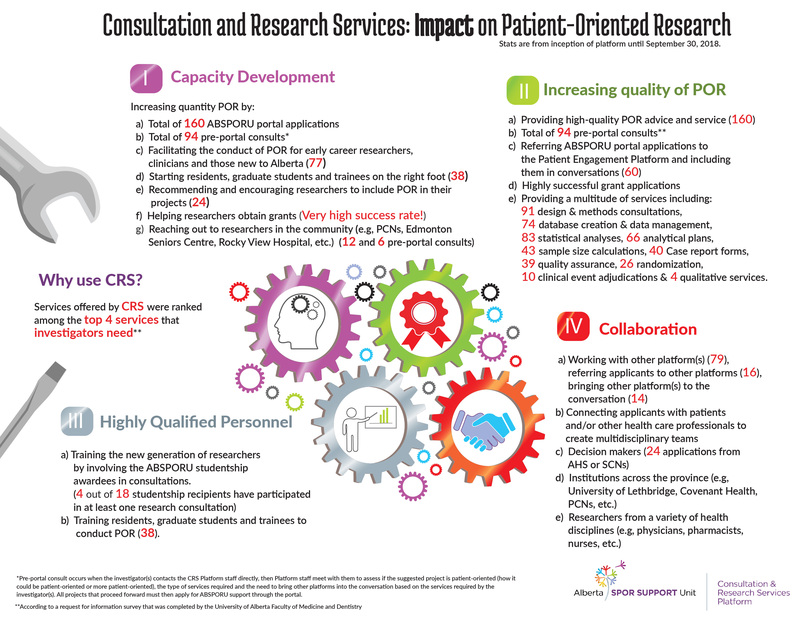 Alberta Strategy for Patient Oriented Research Support for People and Patient-Oriented Research and Trials Unit (ABSPORU) is a five year $48 million federal-provincial partnership between Alberta Innovates (AI) and the Canadian Institute for Health Research (CIHR). 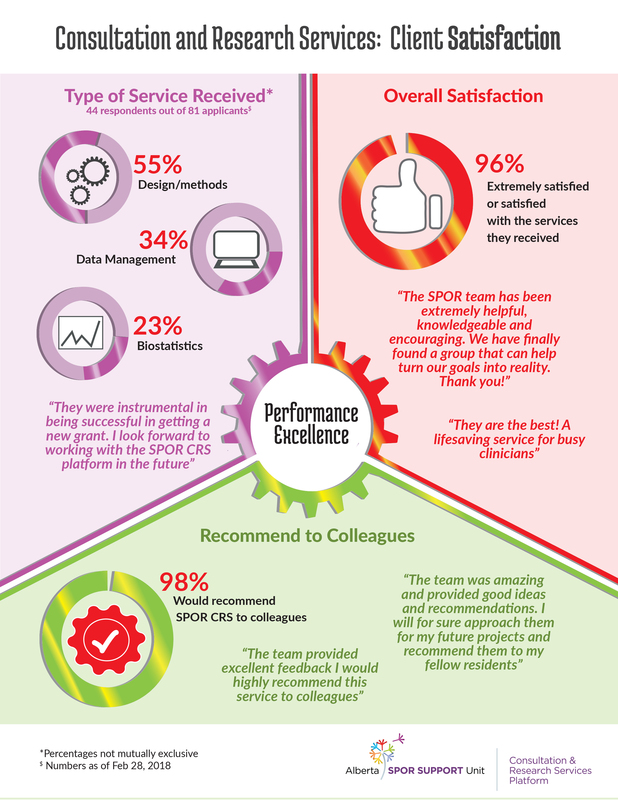 We were the first established unit among a network of SPOR SUPPORT Units across Canada. Our vision is to advance knowledge to improve patient health and healthcare with the goal to increase the quantity and quality of patient-oriented health research. 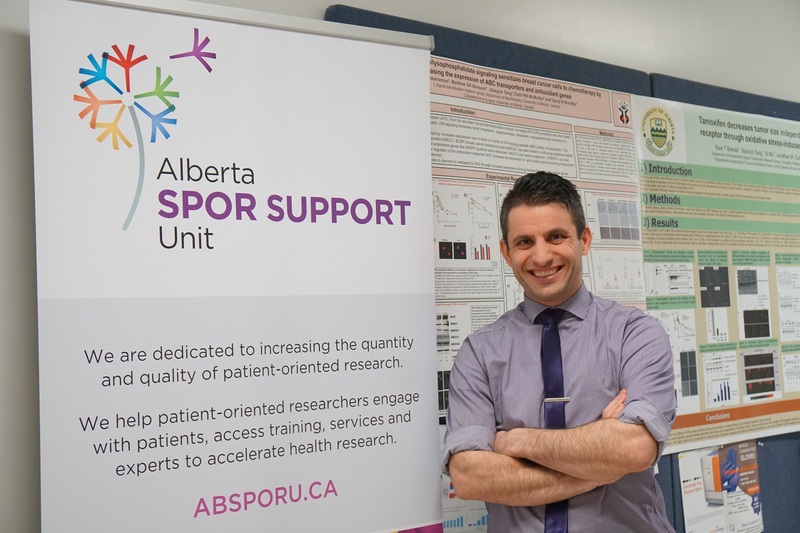 ABSPORU partners with Alberta Health, Alberta Innovates, Alberta Health Services, Athabasca University, University of Alberta, University of Calgary and University of Lethbridge. ABSPORU is composed of seven platforms: Career Development, Consultation and Research Services, Data, Knowledge Translation, Methods, Patient Engagement and Pragmatic Clinical Trials. (Please visit absporu.ca for further information on each platform). ABSPORU’s approach is to offer training opportunities and services (rather than research operating grants) to support patient-oriented research from initial concept through to writing the manuscript. Please visit absporu.ca to find out how can you take advantage of all the services that ABSPORU offers. Dr. Ross Tsuyuki is the Consultation and Research Services (CRS) Platform lead. Dr. Yazid Al Hamarneh is the Associate Director/Scientific Officer. The platform was launched in November 2015. EPICORE Centre acts as the secretariat of the CRS Platform. In return, the platform pays for the services it uses. Researchers from a variety of disciplines, institutions and stages of careers (ranging from students to professors) have benefited from the CRS platform services. Figures 1, 2 and 3 illustrate the application sources (by institution), services requested and the applicant’s career stage to date, respectively.